On December 29, 1890, near Wounded Knee Creek, in the Lakota (Sioux) Pine Ridge Indian Reservation in South Dakota, USA the last act of the American Indian Wars took part. The Cavalry Regiment surrounded the encampment supported by four heavy machine guns. On the morning of December 29, the troops went into the camp to supposedly disarm the Lakota. On pretext of denial of surrender by an elder indian, the 7th Cavalry opened fire indiscriminately from all sides, killing men, women, and children, as well as some of their own fellow troopers. This is the story that lies behind the-at first weird-photo that Southern Death Cult used on the back cover of their firat 7"single Fatman/Moya in 1982 on Situation Two records (SIT19). Mind you that the same 12" that contained one more song had a completely different sleeve. 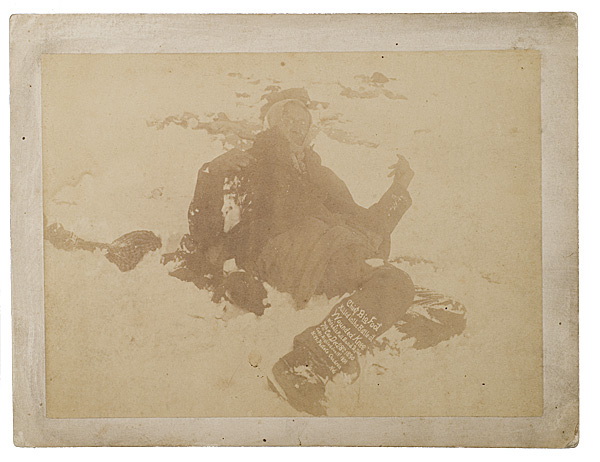 To complete the story, George Trager was the first photographer on the scene after the massacre. He took a number of images on January 3, 1891, as U.S. troops began collecting and burying bodies left on the field. 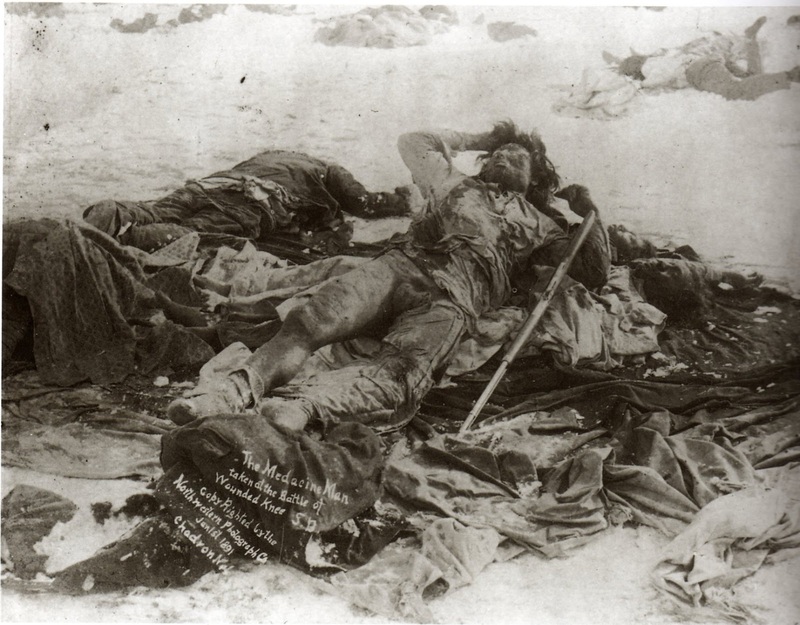 This iconic image was entitled "Chief Big Foot Killed in the Battle at/ Wounded Knee/ with his Full Band by the/ 7th Cav. 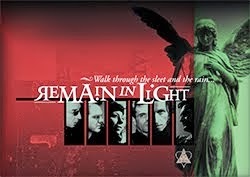 Dec. 28th, 1890/ Copyrighted Jun 1st 1891/ N.W. Photo Co., Chadron/ Neb."